There’s a common misconception out there that meat is the best source of protein to help you build muscle and burn fat. While lean and well-sourced meat in moderation may be healthy, the overconsumption of processed meats is making us heavier and sicker than ever before. Instead, try to improve your muscle-building and weight loss efforts with sources beyond meat and dairy. Here are some delicious and nutritious foods to pick up the next time you’re at the grocery store. 1. Write down your weight in pounds. 2. Divide the number by 2.2, which is your weight in kilograms. 3. Depending on how active you are, multiply that number by your activity level. Use 0.8 for not very active, 1.3 for active (or pregnant) and 1.8 for extremely active. Your final number is how many grams of protein you should incorporate into your diet every day. Dietary protein will help you to build lean muscle and rev up your metabolism. Eating healthy sources of protein and strength training can help you build muscle. You can lose weight by eating healthy alone, but eating protein-dense foods and building muscle will give you a leg-up in the weight loss department. A 2010 study published in The American Journal of Clinical Nutrition highlighted the key benefits of building muscle. Turns out, for every pound of muscle you build, you’ll automatically burn an additional 5.67 calories per day. That may not seem like much, but it adds up! The more muscle you have, the quicker your metabolism will be. Over time, you’ll see some pretty startling results. Broccoli, cauliflower and Brussels sprouts contain lots of protein. It’s time to learn to love cruciferous vegetables, if you don’t already. Broccoli, cauliflower, cabbage and Brussels sprouts contain cancer-fighting compounds and fiber, which is linked to lowered body weight and better gut health. Plus, broccoli also contains vitamin C, vitamin K, iron and potassium. In case that wasn’t enough, broccoli has more protein than most other vegetables to help you build muscle and burn body fat. 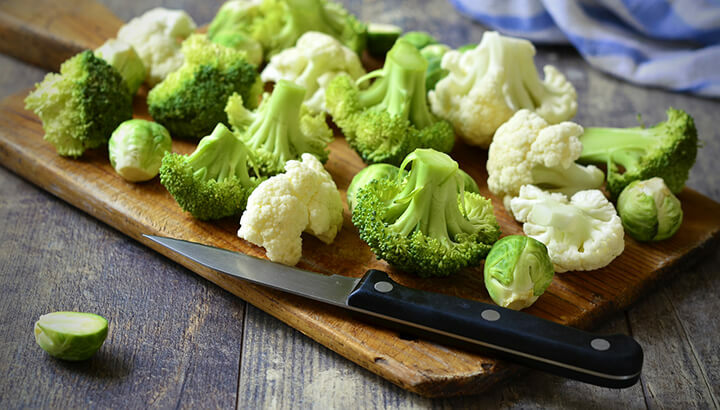 If you’re training your palate to enjoy broccoli, try it steamed with spices before moving into raw territory. You can also get started by trying broccoli’s cousin, broccolini, a milder hybrid with many of the same health benefits. Quinoa is often referred to as a “superfood,” and it’s not hard to see why. Just one cup of quinoa contains eight grams of protein and five grams of fiber, along with vitamin A, calcium and a range of other vitamins and minerals. If your goal is gluten-free, quinoa should definitely be on your list. Quinoa is most often used as a replacement for rice or pasta. Try it stuffed into bell peppers or as a garnish on a garden salad. The options are endless! If you’re trying to build lean muscle without meat or dairy, try a two-egg omelet with veggies for an easy 12 grams of protein every day. Worried about the cholesterol? Perhaps you shouldn’t be. Research shows that eating an egg a day does not increase your risk of heart disease or heart attack, as previously thought. In fact, whole eggs (including the yolk) contain nutrients that can help lower the risk of heart disease, including vitamin B12, vitamin D, riboflavin, folate and more. Remember: where you source your eggs is important. Always purchase organic, free-range, antibiotic-free eggs — they are better for the environment, the hens and your body. 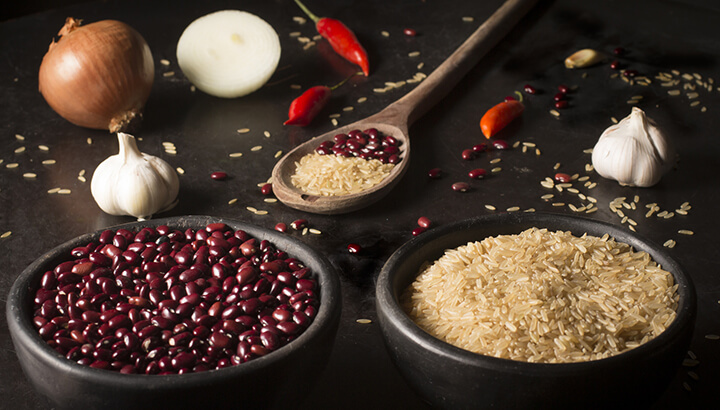 Rice and beans form a complete protein, helping your body to build muscle. Believe it or not, a single cup of beans contains at least 15 grams of protein. That’s on par with a one-ounce broiled steak! Plus, the high fiber content will keep you fuller for longer. Borrow a tip from vegans and pair beans with brown rice for a complete protein. This means that the two foods together contain roughly equal amounts of the nine essential amino acids that our bodies can’t produce on their own. Rice and beans are one of the quickest (and cheapest) bases for a meal out there — and they’re great for you! Make them a staple in your kitchen. Research has shown that eating nuts can promote weight loss, thanks to their protein and healthy fat content. In multiple studies, scientists have even linked nut consumption to reduced risk of cardiovascular disease — and almonds are a great place to start. In one study, participants who snacked on almonds achieved greater weight loss reduction than a control group over a span of 24 weeks. That makes sense, considering 1/2 a cup of almonds contains 10 grams of protein and five grams of fiber. Wow! If you’re in between meals and battling the bulge, snack on a handful of almonds for a quick dose of calcium, magnesium, iron and vitamin E. You’ll curb cravings in no time. Turmeric added to protein-rich meals can help you burn body fat. Spinach: There’s a reason Popeye, the popular cartoon sailor, was routinely shown eating spinach. Spinach is low in energy density and calories, but plentiful in vital vitamins and minerals to aid weight loss and lower cholesterol. In fact, this is true for most leafy greens, such as kale, collards and Swiss chards. Coconut oil: While it doesn’t contain any grams of protein, coconut oil has been shown to help burn stubborn body fat, thanks to its medium chain triglycerides. 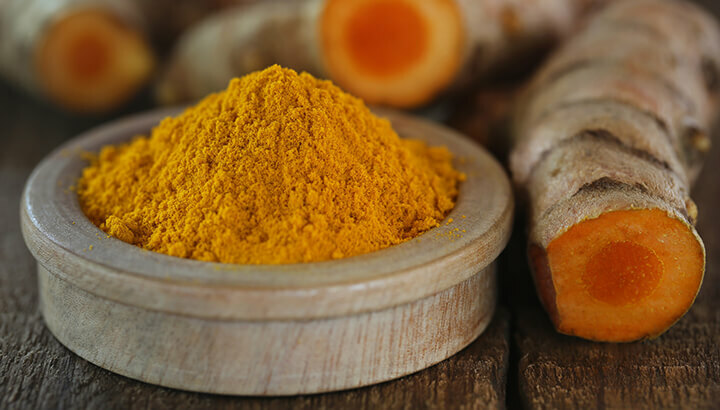 Turmeric: One tablespoon of this rich yellow spice provides 0.5 grams of protein, making it a great addition to many protein-rich meals. In addition, research has shown that it can help banish body fat, especially around the abdomen. Chili peppers: While chili peppers are low in protein (1.5 grams in 1/2 a cup), they contain a powerful ingredient to fuel fat loss: capsaicin. Apple cider vinegar: You can support weight loss by contributing good bacteria to your gut microbiome, helping your body get more nutrients from food. See? Getting enough protein without meat and dairy three meals a day is easy! These whole, natural foods are a great way to help the planet, your wallet and your waistline. Bon appetit! 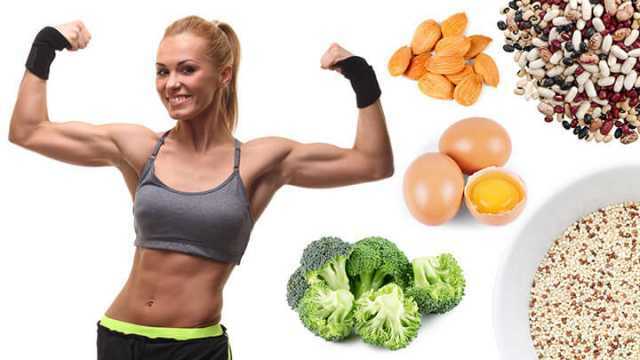 Hey Buddy!, I found this information for you: "Build Muscle And Banish Fat With These 5 Foods". Here is the website link: https://www.thealternativedaily.com/build-muscle-and-banish-fat-with-these-foods/. Thank you.